It's December! Time to decorate. There are so many awesome bloggers out there who have had their homes beautifully decorated for a month now, giving amazing tips and tricks along the way. I love those bloggers but I'm not one of them. I also love Christmas decorating, but nothing comes out until the day after Thanksgiving for us. So, now I can go crazy, and if you have seen the outside of our house - Justin already has too (think Griswold). 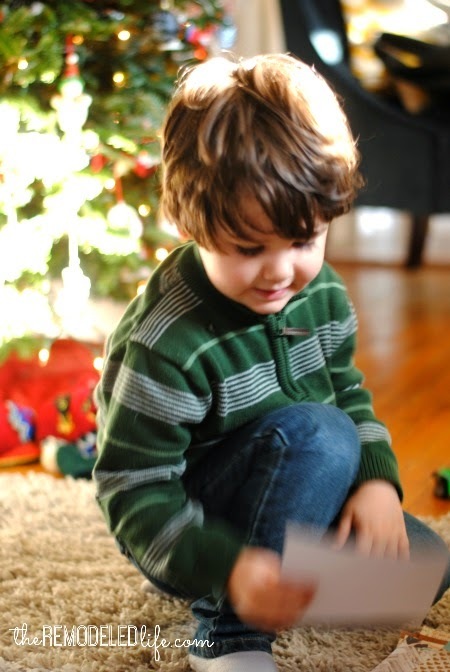 This year we have a 4 year old, and boy is he pumped about Christmas. So I decided to take advantage of that excitement and plan some easy and fun Christmas activities for us to do together. 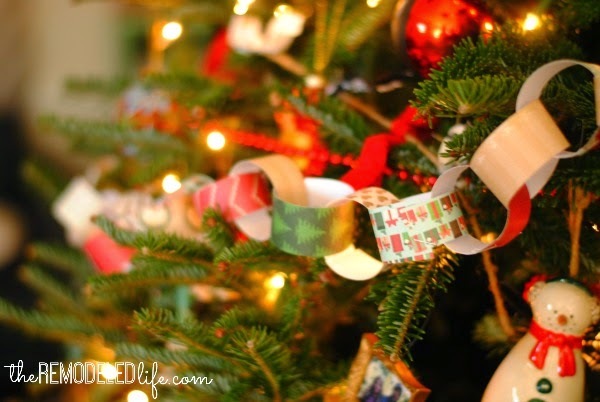 We are starting off with a classic, the Christmas Tree paper chain garland. We gathered our supplies, just the basics and nothing fancy. Don't worry, I used the scissors. 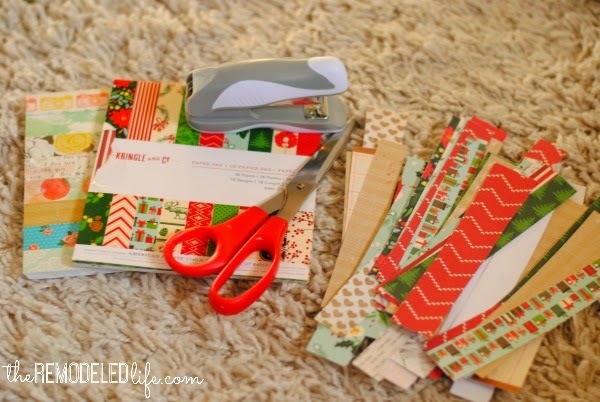 I used a combo of christmas craft papers and some neutral papers I had. This was a team effort, Silas tore the perforated piece off of the papers (probably his favorite part of the whole thing) and picked out which ones he wanted as we went. He also helped with the stapler, emphasis on helped. 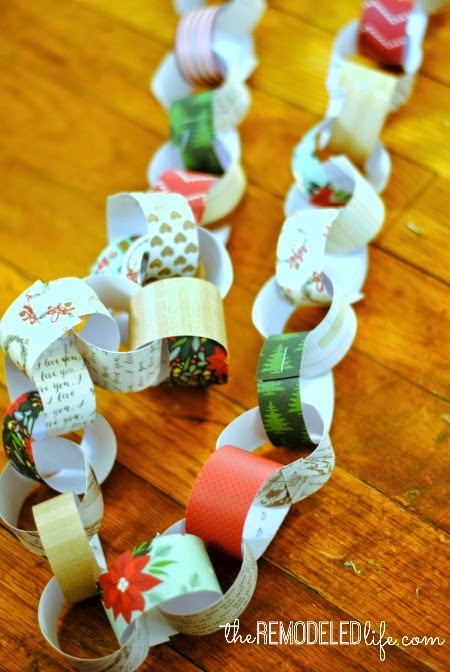 In about an hour we had a sweet couple of paper chains, ready for our tree. I love the handmade addition to our tree this year. 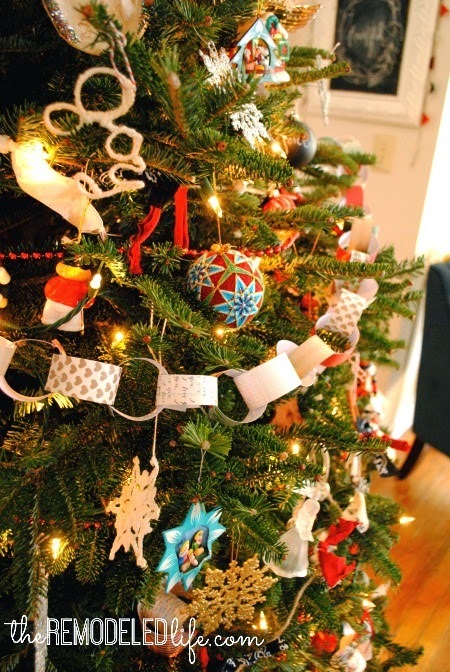 For me, the more handmade things on the tree, the better. Sometimes just a simple, classic Christmas project is just what the season orders. The sweet time with your kid is the best part. I have some more little projects coming later this week! Happy Christmas decorating!! This is so fun! 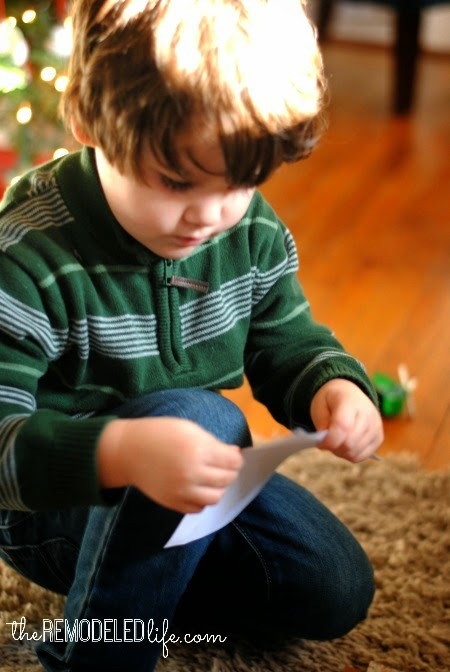 I used to make these with my mom when I was little, and it is such a fun Christmas memory!